Plan it. Build it. Grow it! Start the new year afresh with a school garden fit for growing healthy food, learning skills and sharing knowledge, whatever the size or space. 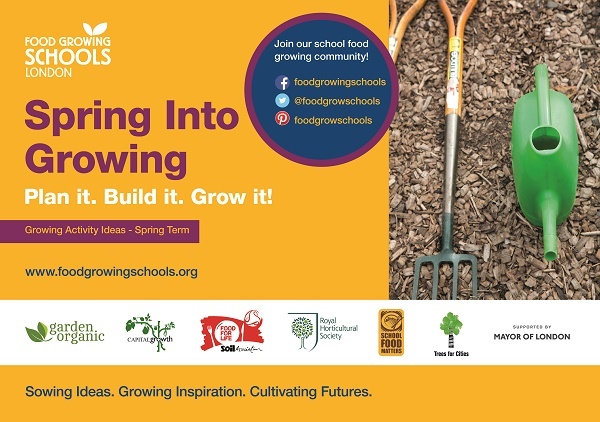 With our expert guidance, learn the secrets to planning and constructing your school garden, working with recycled materials and nature, and developing a productive growing space, with the help of your local community. Getting a head start at the beginning of the year will have long-term benefits to the quality and quantity of the food you grow, the capacity for students to learn and the variety of curriculum subjects that can incorporate using the garden. It can also help to provide students with ownership of the garden from start to finish, for year-long growing through all the seasons. Spring into Growing resources are available on our website by clicking through pages full of food growing ideas, tips and resource links, below.